He's already been charged with the first-degree murder of six other men who have connections to the city's LGBTQ community. 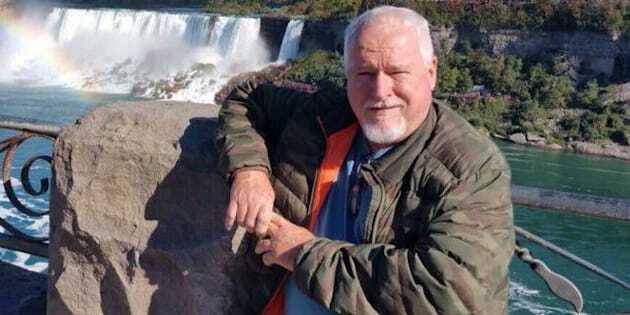 Bruce McArthur is shown in a Facebook photo. TORONTO — Police have identified the remains of more men suspected to have been murdered by alleged serial killer Bruce McArthur as they expand their investigation more than four decades into the past. Det. Sgt. Hank Idsinga said the 66-year-old self-employed landscaper is now facing a total of seven first-degree murder charges related to the deaths of men with ties to Toronto's LGBTQ community. The most recent count was laid on Wednesday, when McArthur was formally charged in the death of 42-year-old Abdulbasir Faizi. McArthur had already been charged with the first-degree murder of six other men who are believed to have died between 2010 and 2017. Idsinga said the sprawling investigation is now scrutinizing 22 unsolved homicides that took place between 1975 and 1997. While he said there is no current evidence linking McArthur to the cold cases, he said they fit the general profile of the alleged victims identified to date. "We may discover cases from the 70s, we may discover that 2010 was the first murder," Idsinga told a news conference. "We just don't know yet." Faizi's remains were among at least seven recovered from planters at a Toronto home where McArthur once did landscaping work. McArthur was arrested in January and charged with the murders of Andrew Kinsman and Selim Esen, who went missing from Toronto's gay village in 2017. Later that month, McArthur was charged with the first-degree murder of Majeed Kayhan, Soroush Mahmudi, and Dean Lisowick. In February, he was also charged in the death of Skandaraj Navaratnam. Idsinga said the remains of all but Mahmudi have been identified among those recovered from the planters at the central Toronto home. Detective Sergeant Hank Idsinga during a press conference at Toronto Police headquarters on March 5, 2018. Idsinga said police plan to investigate at least 70 more properties where McArthur is believed to have worked, adding that the operation may get underway as early as next month. Police also remain on the scene of McArthur's east-Toronto apartment, calling it an unprecedented investigative scene. "We've quite frankly never seen anything like it," Idsinga said. "I think it's easily set the record for a forensic examination of an apartment." On Wednesday, Idsinga also released an enhanced version of a photograph of a man believed to be another one of McArthur's alleged victims. He said police have received hundreds of tips, but have yet to identify the man in the image. Many of McArthur's alleged victims were the subject of two previous police probes into the disappearances of men from the city's gay village. The first police probe — named Project Houston — was launched in 2012 to investigate the disappearances of Faizi, Kayhan and Navaratnam. It closed after 18 months as it did not establish the whereabouts of the missing men or resolve the circumstances on their disappearances, police said. In August 2017, police launched Project Prism, which looked into the disappearances of Kinsman and Esen. McArthur popped up on the police radar in the fall of 2017 as part of Project Prism.